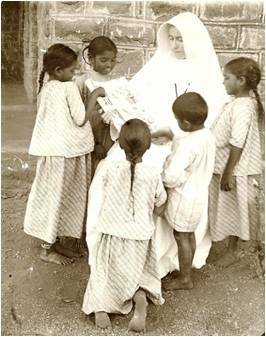 Through this letter I invite you to the yearlong observance of the 60th year of the death anniversary of Sr. Dr. Mary Glowrey, born in 1887 at Birregurra in Victoria, Australia, and died at Bangalore, far away from her homeland, on 5th May 1957. All through the history God raises women and men at different times to be inspirers and role models for others.Ninety six years ago, on 21st January 1920, compelled by the love of Christ, Mary Glowrey, a medical graduate of the University of Melbourne, left everything behind – a promising medical career, the comforts of her family and an affluent country! She was the firstever medical doctor to become a nun. She spent the rest of her life in India working as a clinical doctor, medical educator and administrator, and was actively interested in medical service, research and networking for mission, all her life. In many ways, Mary Glowrey was ahead of her time. In 1943, she established CHAI literarily out of nothing. With the providential gaze of God and efforts of many before us, CHAI has now grown into one of the world’s largest not-for-profit health care network. Fulfilling her dream, today CHAI through her 3511 member institutions is a significance presence in the country regarding healthcare services, and training of healthcare personnel. The Church, recognizing her dedicated life to the afflicted and inspiration to thousands of health care workers, declared her a Servant of God on Wednesdaythe 27th March 2013, the first step towards canonization to sainthood. 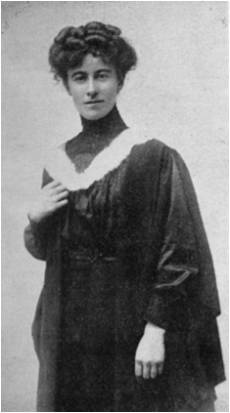 Mary Glowrey‘s intent in initiating CHAI was her appreciation of “the greater strength in unity” – in terms of quality of care, medical education and advocacy. Initiating the process of building CHAI in 1943, with a group of 15 other sisters, Sr. Dr. Mary Glowrey wrote, “Union gives Strength. …Let us make it a Power in the Land … that can Command a Hearing. …”. Sr. Dr. Mary Glowrey always wanted CHAI to work in close collaboration beginning with grassroots level. In her welcome speech in 1943, she reiterated, “This Association has great prospect, if all the dioceses will join together and organize. There are instances when only a united movement can command the respect of the government…” Even today her call for unity is so relevant, in the midst of subtle competition and the tendency to minister in isolation. 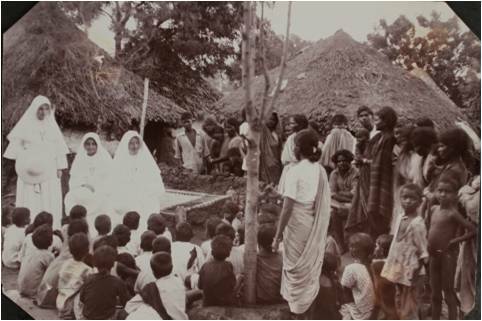 The very first objective for Sr. Dr.Mary Glowrey of initiating CHAI was “To increase the quantity and quality of the medical service available to the people of India.” Imbibing the spirit of Sr. Dr. Mary Glowrey, during the past few years, there had been several efforts of networking among ourselves and with others, for the sake of a larger impact in the midst of the immense need in the country. This growing tendency of working together gives us hope, and enables us to reach the millions of the unreached! With its vast reach and human resources across the country, the members of CHAI are able to reach over 21 million patients a year. Indeed, we are now able to fulfil, to a great extent, Sr. Dr. Mary Glowrey‘s dream of many more religious women coming into medical profession. She always felt “like a solitary grain of wheat that dreams of a Golden Harvest.” Today they are in thousands reaching the unreached in remote areas of this country! On this occasion I look upon you dear sisters with great admiration, reverence and love for all that you are, and have been doing for this noble mission. Our strength is our service at the grass-roots. However, we also need to focus on advocacy efforts, with evidence from the field. Considering this need, CHAI has recently taken the first step towards setting up ‘Mary Glowrey Knowledge Centre’ (MGKC) for data management and to promote relevant and quality research in order to strengthen the advocacy efforts of CHAI for resource mobilization and policy change. During this Jubilee year of Mercy, responding to the call of the Holy Father, our beloved Pope Francis, and the growing number of the terminally ill, CHAI has launched project Pratyasha. This project involves a model 50-bed Holistic Palliative Care unit at CHAI training centre, Telangana, and a Holistic Palliative care Movement to unite all our palliative care initiatives in different parts of the country. In today’s context, one of the major concerns of CHAI is to rediscover and practice our founder’s core values, including ‘working together and united to reach the unreached’. At the beginning of this year long observance of Sr. Dr.Mary Glowrey‘s 60th anniversary of death, let us revisit and rededicate ourselves to this core value of hers. 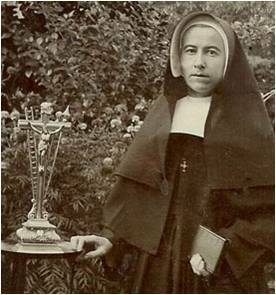 I will be grateful if you could observe tomorrow, 5th May, the 59th death anniversary of Sr. Dr. Mary Glowrey. Kindly click the links for the Novena Prayer and CHAI Anthem. We shall come back to you soon with specific initiatives as part this year long observance.